A Raisin in the Sun ends with a lot of questions, but one question I like to post to the students is, where did that scoundrel Willy Harris run off to? 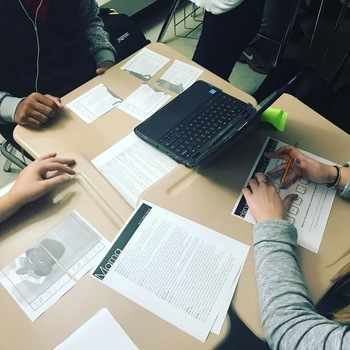 Using this interactive, high-energy Escape Room, your class will transform into the Chicago Police Headquarters and work in teams to track down Willy Harris and the money he stole from Walter Younger. Want to see the Escape Room in action? 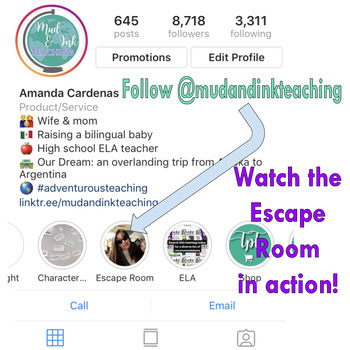 Head on over to my Instagram page and watch my Escape Room highlights! 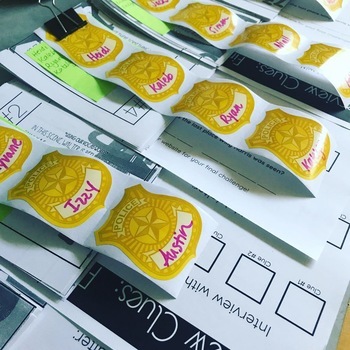 Your classroom becomes CPD HQ. You become the chief of police. There's crime scene tape and mug shots all around your classroom of Willy Harris. The speakers blare a YouTube playlist of police radio sounds. And the learning starts. Students must read four interviews (close read passages) from Beneatha, Walter, Ruth, and Mama. Each interview comes with four questions. The answers to these questions reveal GPS coordinates for students to find Willy Harris' last known location. From there, students solve a few more clues to track him down before the class period is over. This particular Escape Room is a hybrid of both digital and print elements. 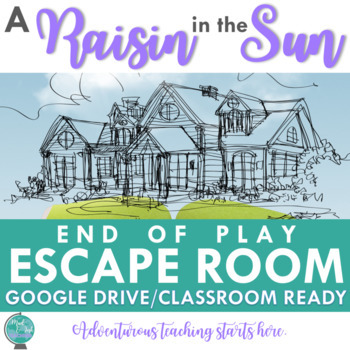 This product includes everything you will need in order to conduct the Escape Room, but it is highly recommended your students have access to at least one Chromebook per group and the teacher has an iPad OR Chromebook/laptop to use for the Escape Room. The lesson should take approximately one 50 minute class period to complete, depending on the pace you set for your students. Your students will be so excited to finally catch that dirty scoundrel Willy Harris!